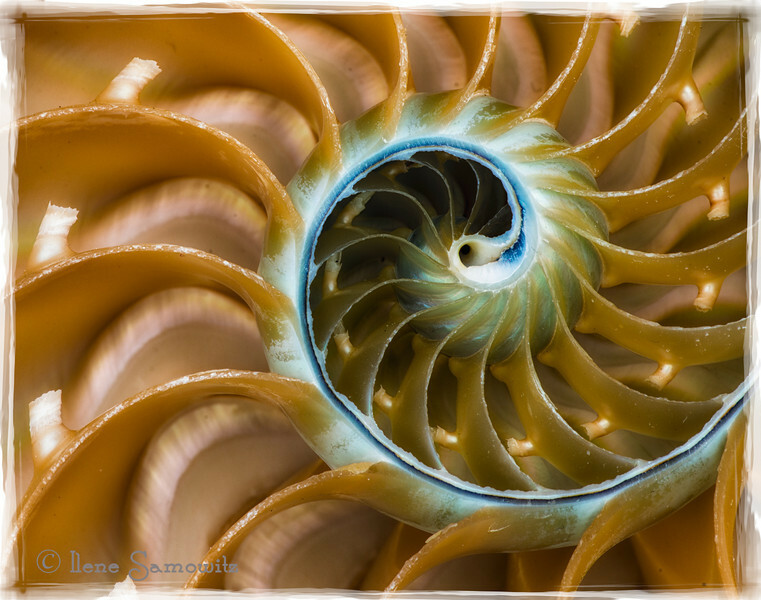 My goal for 2012 is to post an image a day to this gallery I hope you enjoy these and visit this gallery often. All Images are for sale. The watermark will not be visible on any product or print that is purchased. Do not hesitate to contact me with any questions. 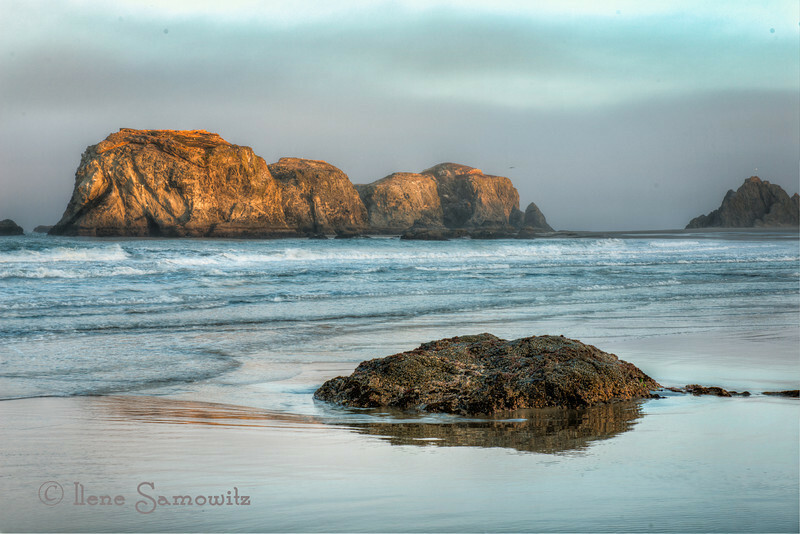 9-26-12 Bandon Dawn - This is a five exposure image taken at sunrise at Bandon, Oregon. I used Photomatix and Color Effex 4.0. 9-25-12 Close Up of the Mary D Hume in Gold Beach, Oregon. This is a 5 image HDR processed in Photomatix and Color Effex 4. 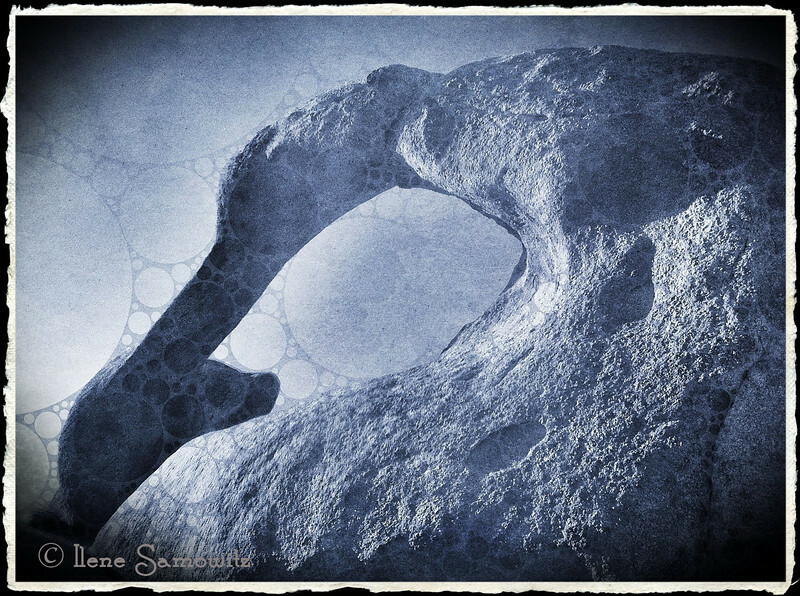 9-24-12 Mobious Arch, Alabama Hills, California - This was taken on a photo workshop I went to last October to the Eastern Sierras. This was taken on the iPhone 4 and processed on the iPad. 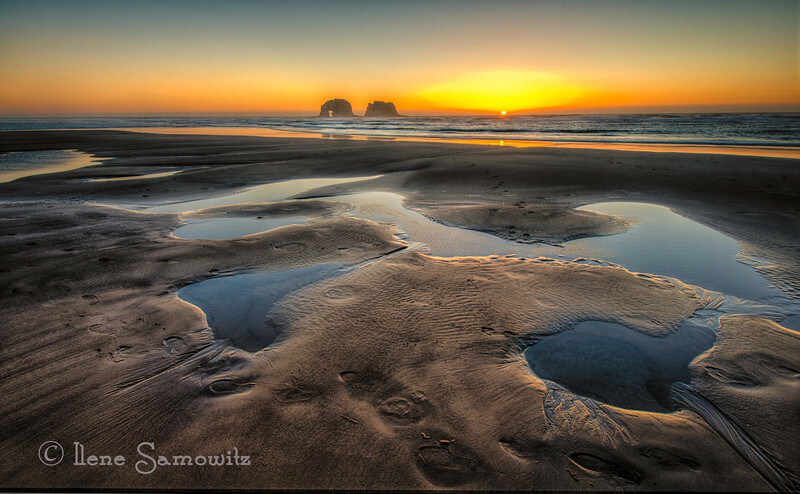 Just arrived home from a 10 day trip to the Oregon Coast which included a 5 day photo workshop at Bandon. Too tired tonight to pull out the laptop so I am working with images on the iPad. 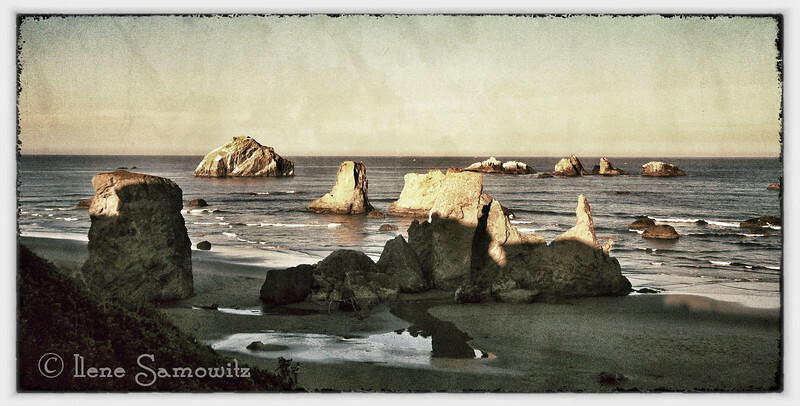 9-23-12 From Sunset Motel in Bandon. This was taken from my iPhone and processed on my iPad using Snapseed. 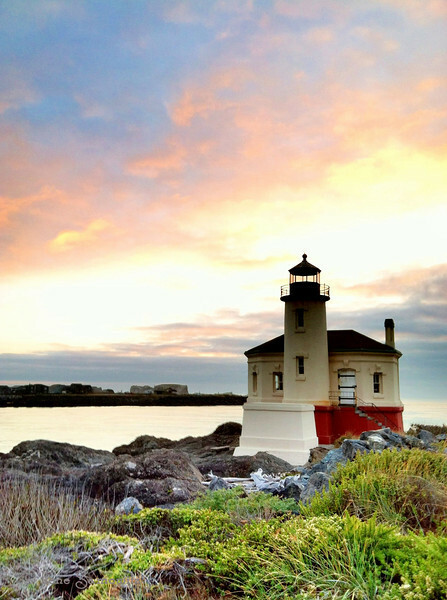 9-22-12 Coquille Lighthouse at Bandon, Oregon. Exhausted tonight since I was out late last night until1:30 am photographing stars and up this morning to shoot the sunrise. 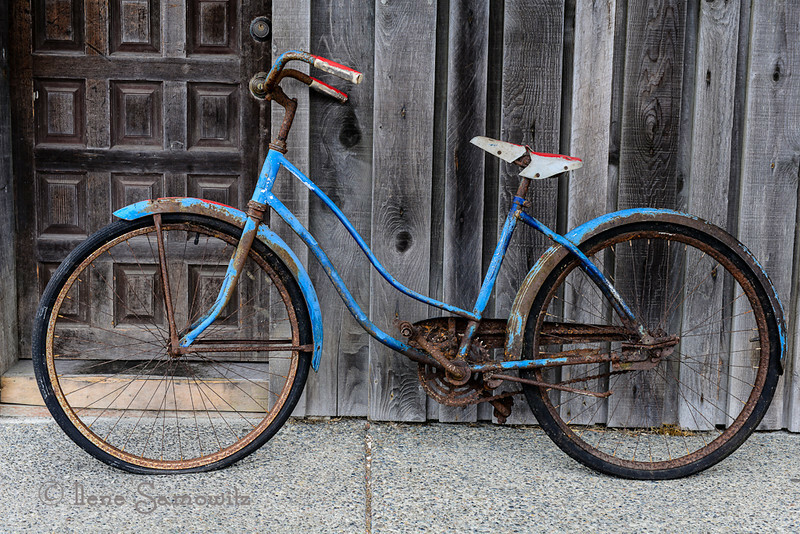 Thanks for all the comments on my bike photo. 9-19-12 Nautilus Close Up - This is a single macro exposure that was post processed in Lightroom 4 and Color Effex 4.0 and the frame comes from Photoframe. I hope to be able to comment more next week. Thanks for understanding. 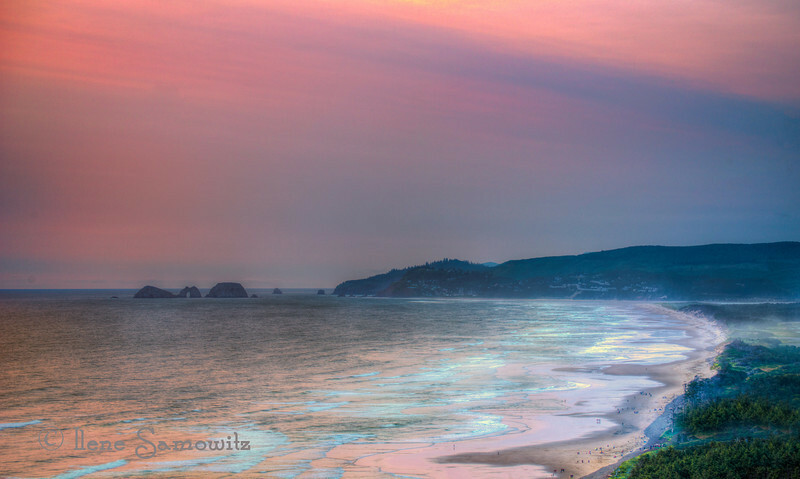 9-18-12 Bandon Dawn. This is a 5 exposure HDR processed in Photomatix Pro and Color Effex 4.0. I am falling behind in my commenting this week. Hope you can bear with me and hope to have more time next week. Posting late in the day but still making the deadline!!! 9-17-12 Rockaway Beach Sunset - This is a 5 stop HDR processed in Photomatix Pro with post processing in Color Effex Pro 4.0. Sorry for not commenting. I am not having good internet connections and am struggling to get images uploaded each day and am uploading smaller versions of these images. I hope to get back to commenting soon. 9-16-12 Sharing an old favorite. 7-15-12 This was taken two weeks ago and imported to my iPad to process. I used Snapseed, iPhoto, and Camera Awesome. 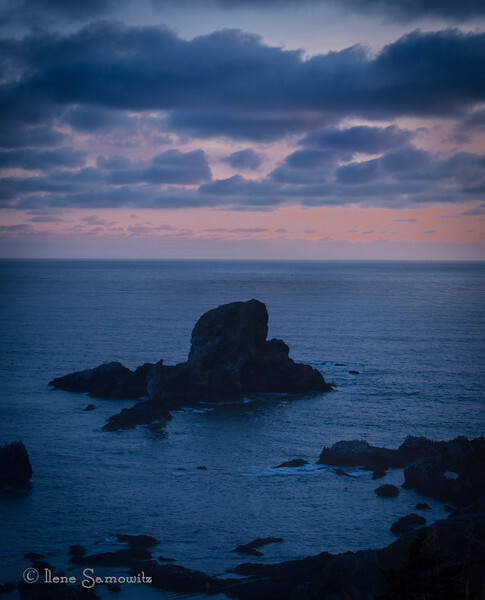 9-14-12 Looking offshore from Ecola - This is a magical location especially on a calm summer's night. This image was taken in July but processed yesterday. These islands are offshore island wildlife refuges and in addition to being beautiful they team with both bird and sea life. This image was one of a series shot for HDR but the D800e has such broad dynamic range that this was just a single image processed in Lightroom 4. 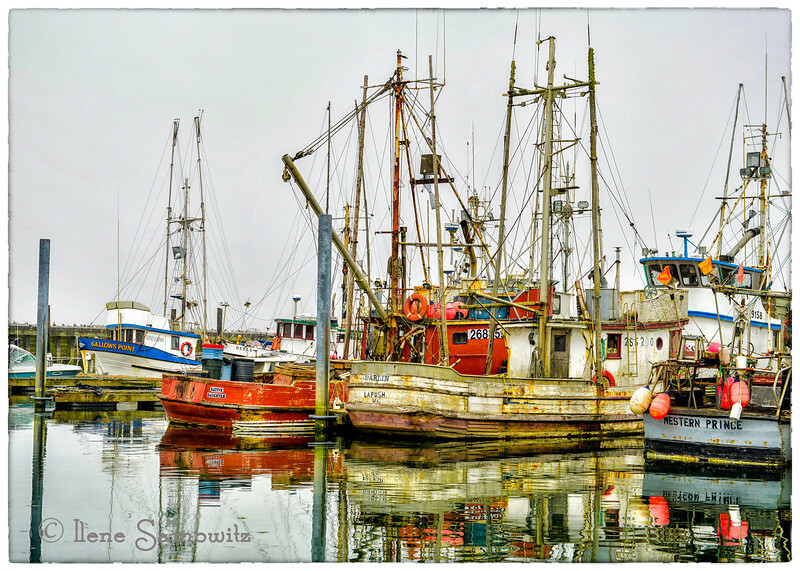 9-13-12 La Push Marina - Marinas always have so many photographic opportunities especially in the fog. This image was processed in Lightroom 4 and Color Effex Pro. 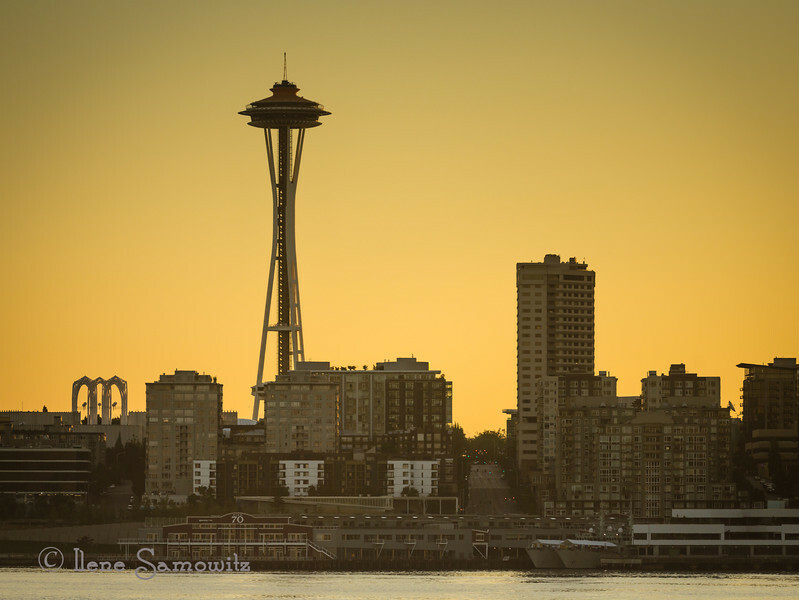 9-12-12 Space Needle from the Bainbridge Ferry, This is a single exposure from a 5 exposure sequence that I decided to process. It is the +1 shot. There was too much ghosting in the sequence due to boat shake. It was processed entirely in Lightroom 4. 9-11-12 Sunset at the Cape - This is a 5 stop HDR processed with Photomatix Pro. I used Viveza, Color Effex Pro 4, and Lightroom for the post processing. 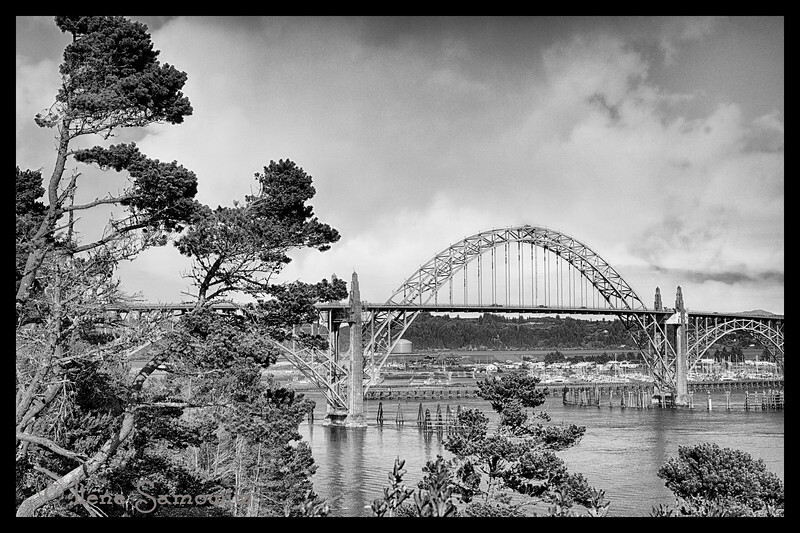 9-10-12 The Newport Bridge - This image was a 5 exposure HDR that was converted in Silver Effex Pro 2. This image was taken during the July 4th weekend and I passed on processing it then. I was very happy to rediscover this one. 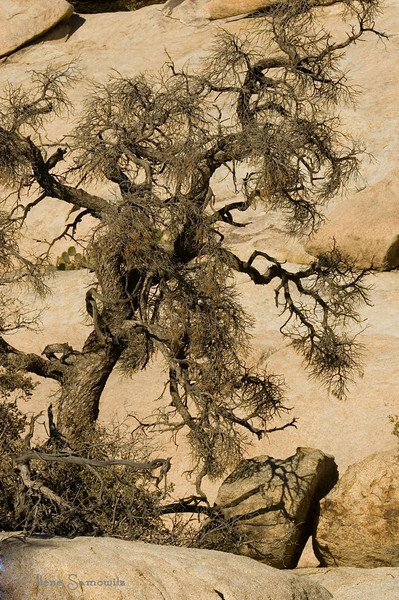 I really like the framing of the trees. 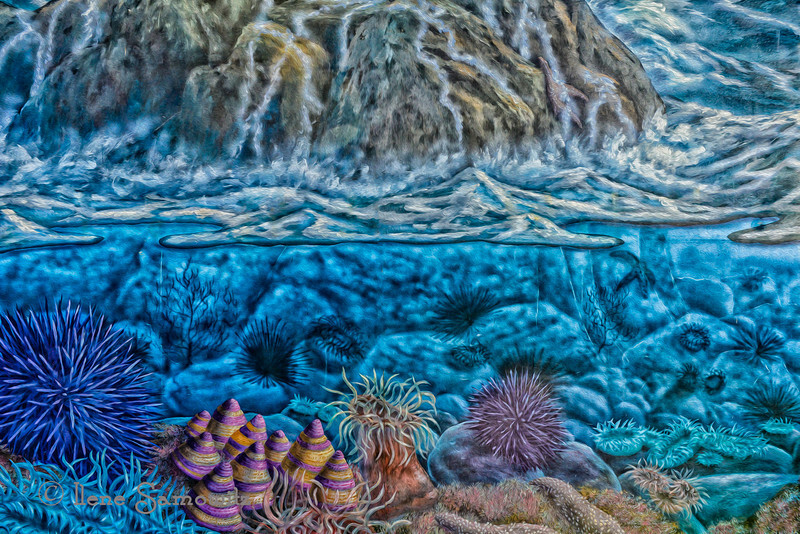 9-10-12 Under the Sea - This is a close up of a piece of a mural on Oceana Natural Foods in Newport, Oregon. I cleaned it up and applied the oil paint filter in CS6. 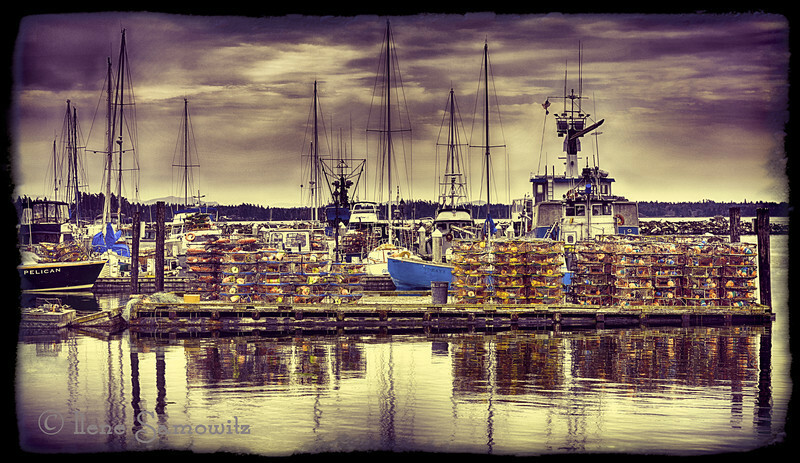 9-8-12 Blaine Fishing Boats - This is a single image HDR and then post processed in Lightroom 4 and Collor Effex 4. The framing was done in OnOne Photoframe. 9-7-12 Twilight at the Newport Marina, We camped in our RV near the marina and I was able to wander the marina on this beautiful twilit evening. This is a single 30 sec exposure taken at f22 and ISO 100. Thanks for all of yesterday's comments on the bridge. 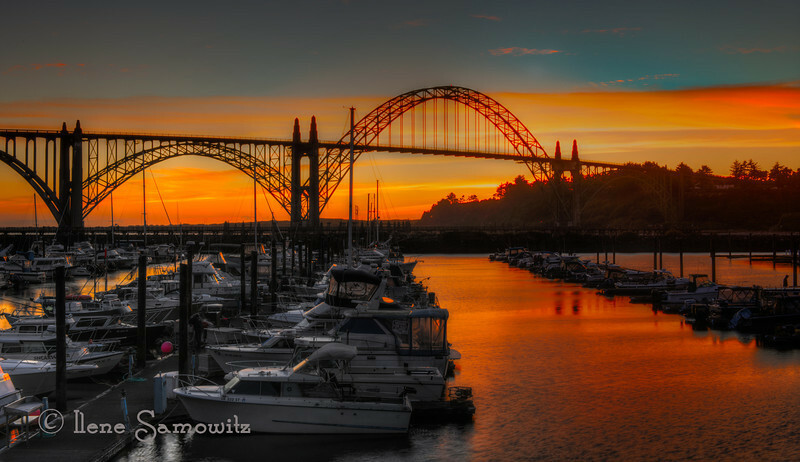 9-6-12 Yaquina Bay Bridge at Golden Hour - This single image was taken at f22 ISO 100 and a shutter speed of 143 seconds. 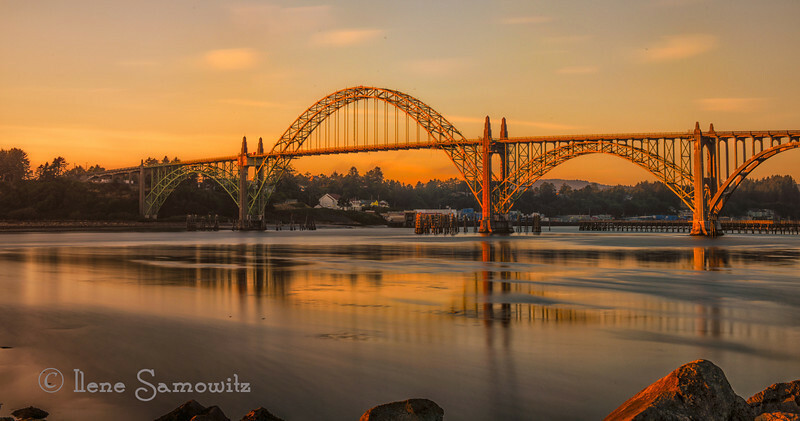 I used my ten stop ND filter on this and it resulted in extra warm light on the bridge, the sky, and the reflection. 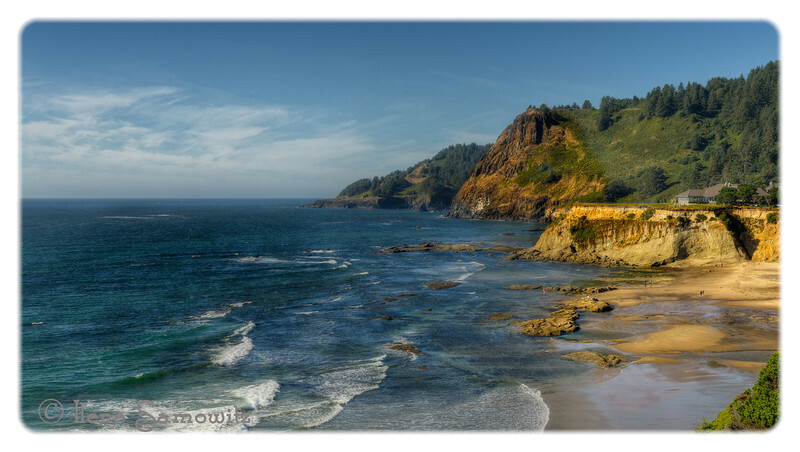 9-5-12 Central Oregon Coast - This is a 5 image HDR taken north of Newport, Oregon looking north from Devil's Punchbowl. Critiques Welcome. Thanks for all the comments and feedback on yesterday's long exposure. 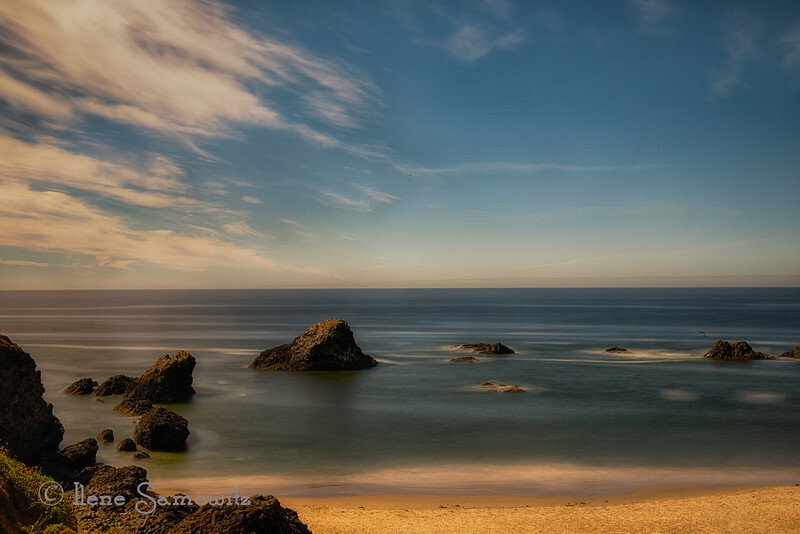 9-4-12 Seal Rock Long Exposure - I've been experimenting with black glass (AKA 10 stop neutral densityy filter). This was shot at f22 and 25 seconds and ISO 100. I am liking this effect of totally smoothing the ocean, saturating the colors and getting some movement in the clouds. Has anyone else tried this? Critiques welcome. 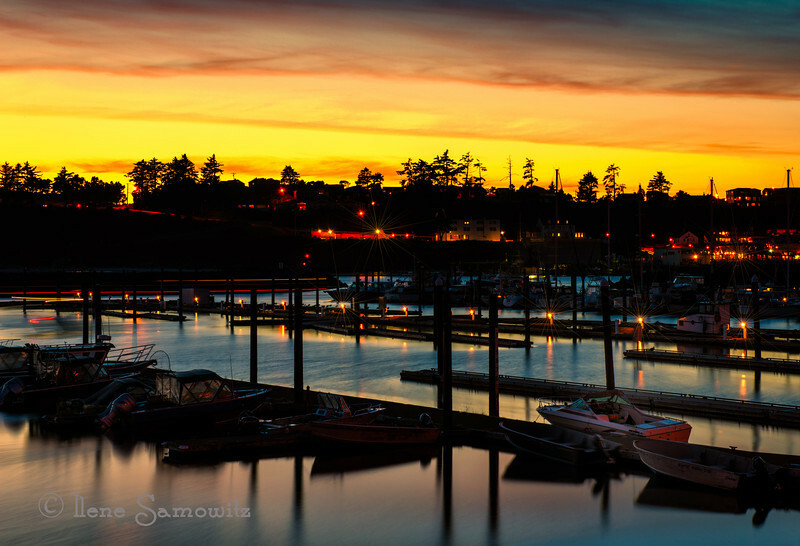 I appreciated the suggestions I got yesterday on the twilight shot at Newport Marina. 9-3-12 Twilight At the Newport Marina - This was a series of 9 images to get the full dynamic range shot at the beginning of twilight. 9-2-12 Facing Canada - Lone tree captured at a park in Blaine, WA facing Boundary Bay, the Peace Arch, and British Columbia, Canada. 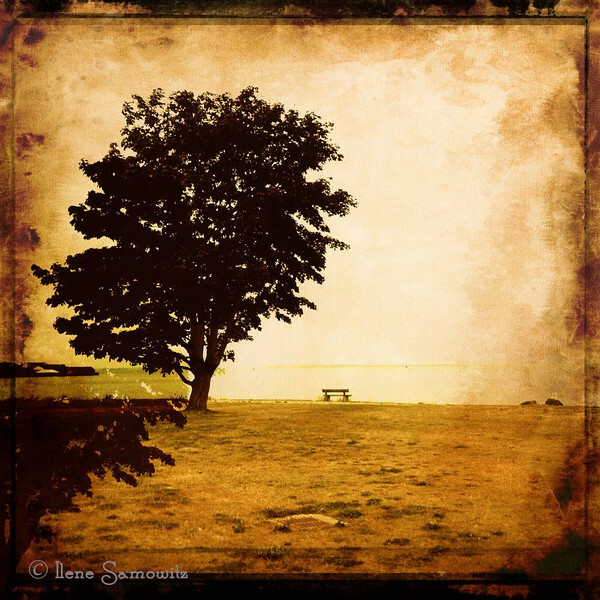 This lone tree was captured on my iPhone 4 and post processed on my iPad. 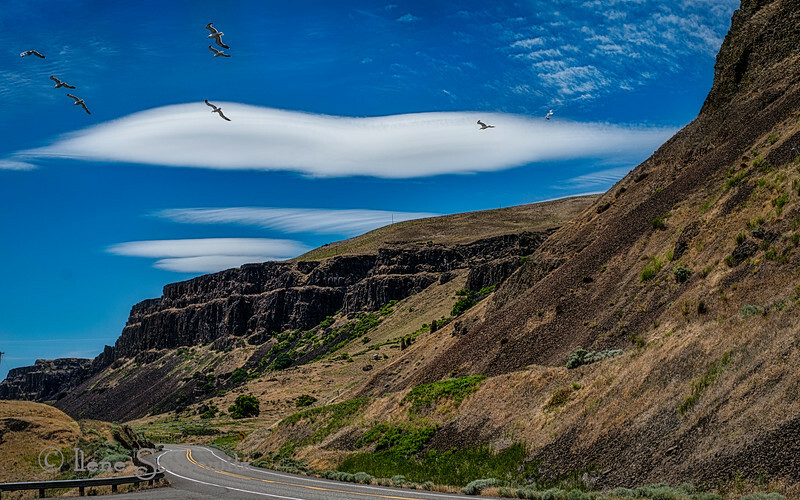 9-1-12 Along the Columbia River Gorge - This is a slightly different view taken the same time as yesterday's color version. 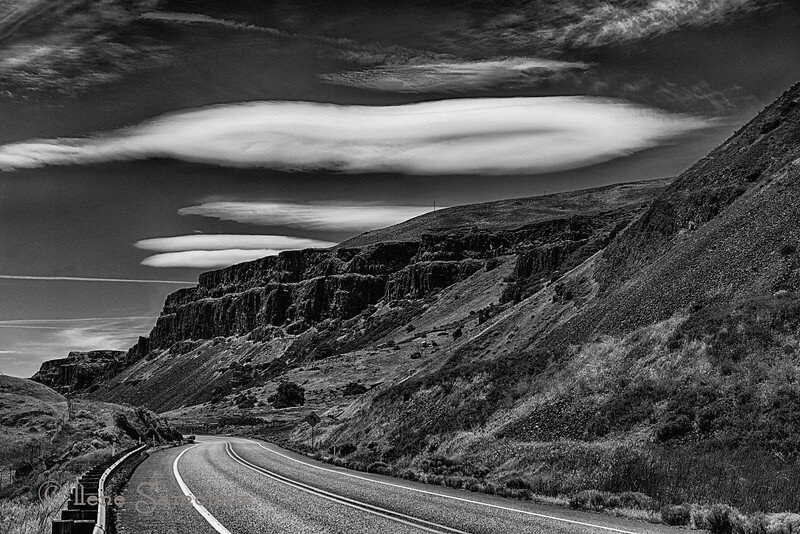 I walked a little further up the road ans was able to get more of the lenticular cloud in. I processed 5 shots in HDR Effex Pro 2 and then converted to Black and White in Silver Effex Pro 2. 8-30-12 The Red Rocks of Oregon - This is from the Cove Area. This is a 5 image HDR processed in Photomatix. 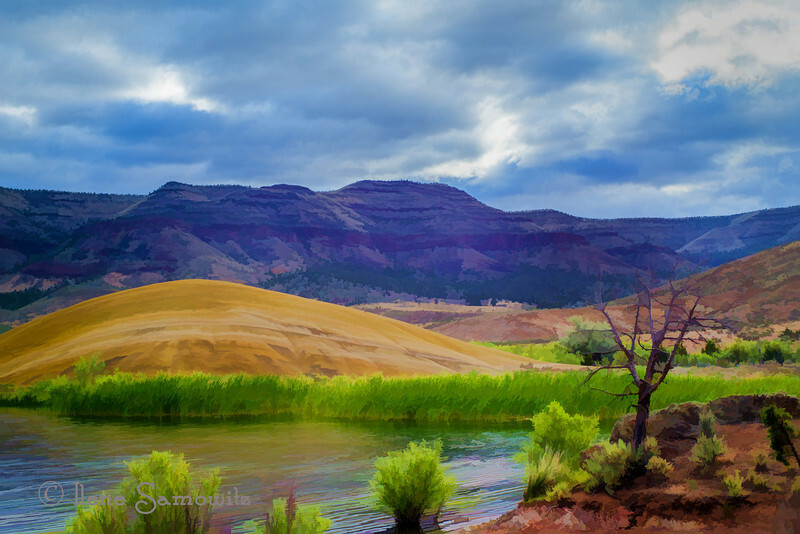 8-29-12 The Painted Hills of Oregon - I did a 5 shot HDR to squeeze the most dynamic range I could from the scene. I then processed this using Topaz's Buz Slim filter. 8-28-12 View Towards Semiahmoo - This image was taken on an overcast day from the Blaine Fishing Pier looking across to Semiahmoo, Washington. It is a 5 image HDR processed in HDR Effex 2. 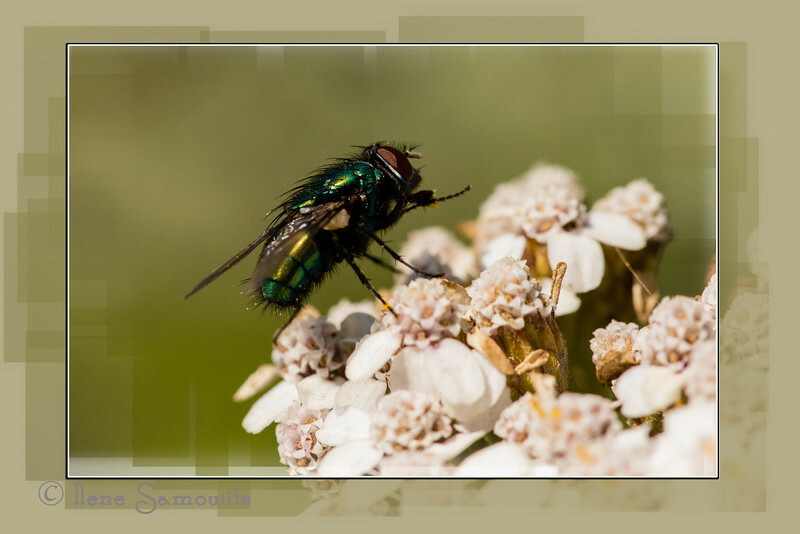 I then added 2 different Flypaper Textures using different opacities and soft light blending mode. 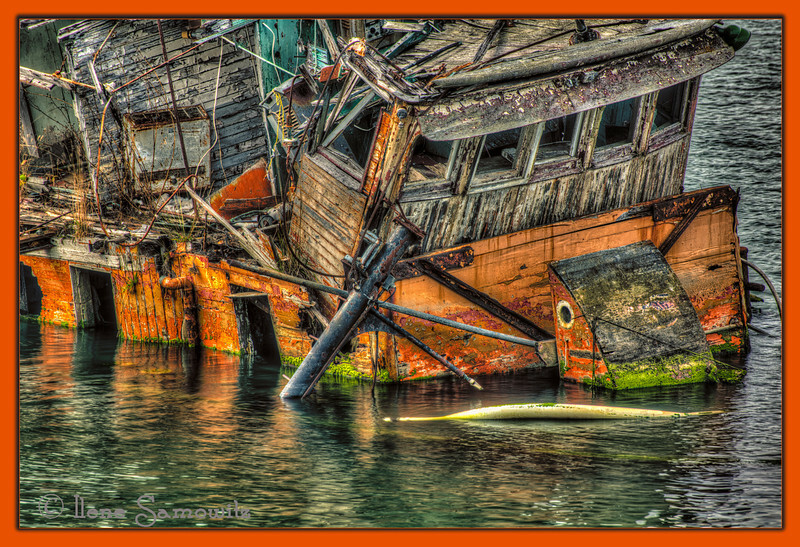 8-27-12 Shipwrecked in Semiahmoo. This view of the shipwrecked boat is very artistic but does not give the correct impression of scale. The boat is considerably taller than I (5'5") and it is up against a decaying building. Semiahmoo Spit is a very enjoyable destination for a long day trip from Seattle. 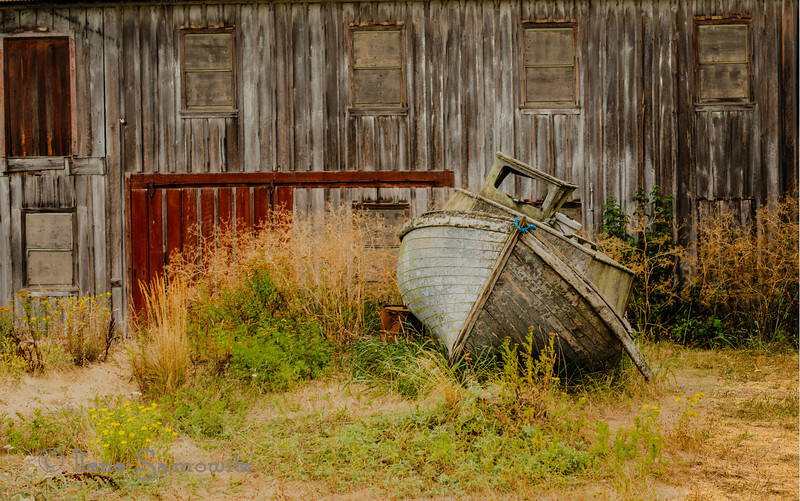 The views are spectacular and there are plenty of photography opportunities including shots of Mount Baker, birds, the marina, and the old buildings and shipwrecked boat at the end of the spit. This is a 5 shot HDR processed with Photomatix starting with the photographic preset and customizing the settings and lightroom developing to taste. 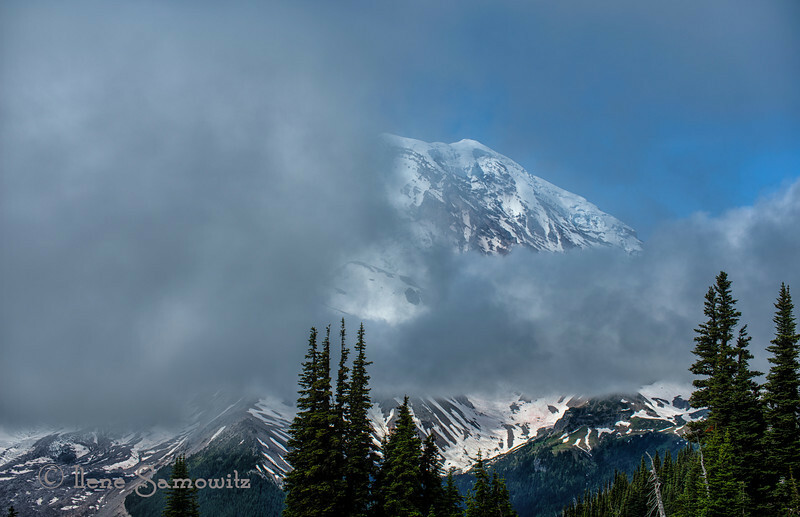 8-26-12 Morning Fog is Clearing - Early morning glimpses of Mount Rainier, Washington. 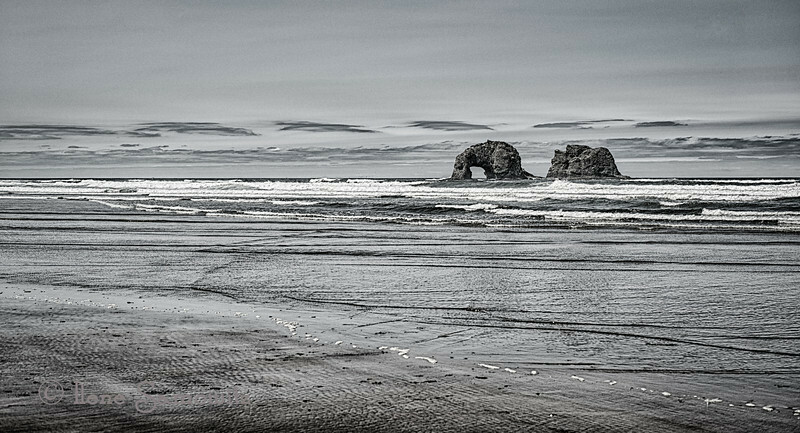 8-25-12 Rockaway Beach, Oregon - This is a 5 shot HDR processed with HDR Effex Pro 2. I started using a Black and White preset and adjusted it for the contrast and detail that I wanted. 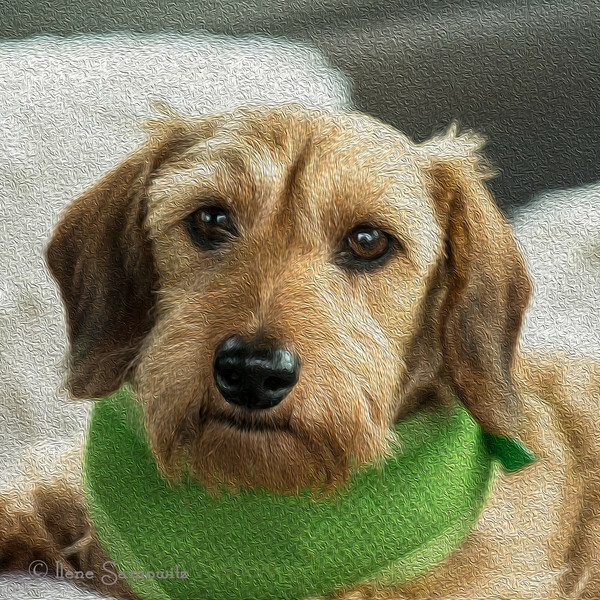 8-24-12 Oil Portrait of Maggie Mae one of my mini wired hair dachshunds. 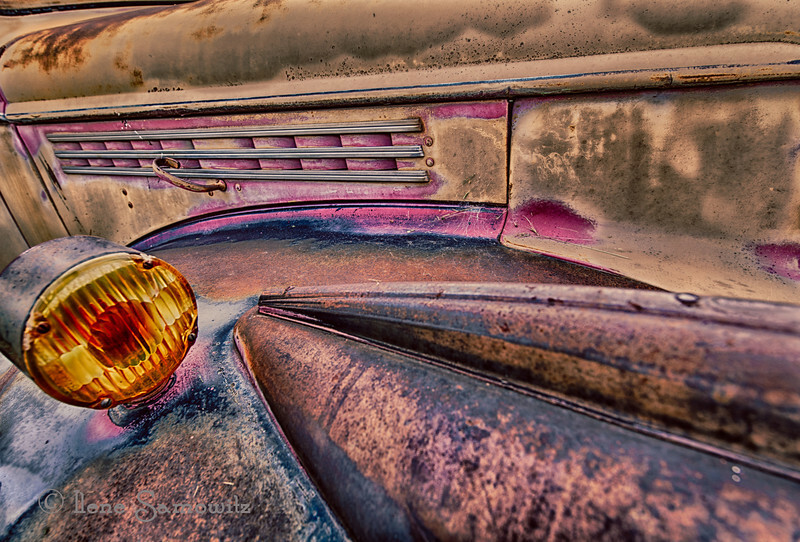 I used the Oil Filter in CS6 to do the finishing work on this image. 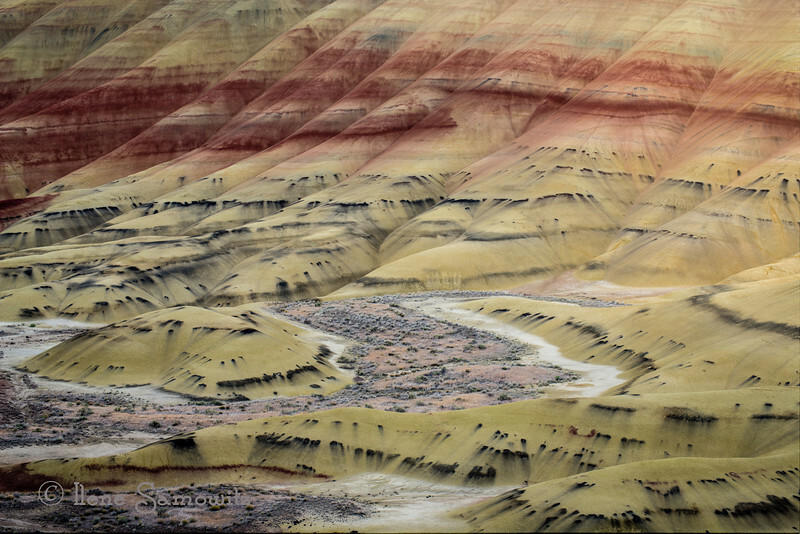 Thanks for all the comments yesterday on my Painted Hills, John Day National Monument, Mitchell, Otegon image. 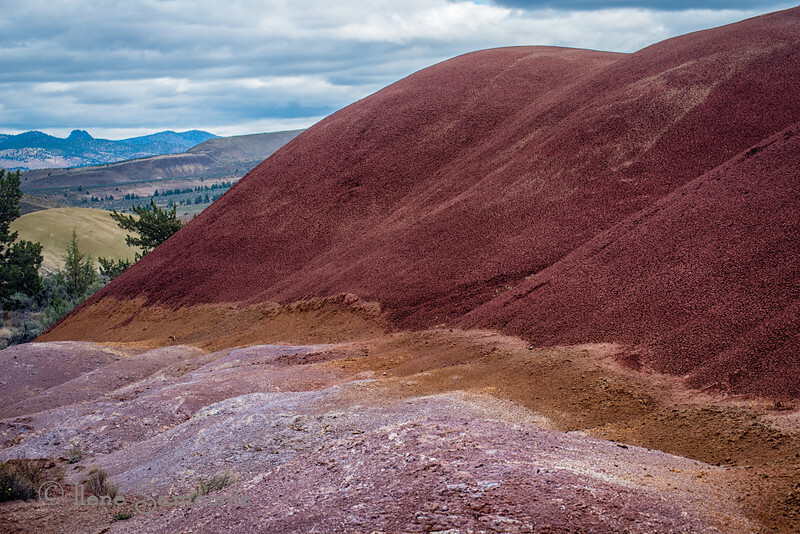 This was from my first evening light shoot at the Painted Hills. Light was beautiful and I decided to do some close up and pattern shots of the hills. This is a five exposure HDR that helped me increase the dynamic range. I processed this in Photomatix Pro using the photographic preset as the starting point. All adjustments after the tonemapping were done in Lightroom 4. Thanks for the critiques and comments. I too am finding them useful. 8-22-12 Sunflower Patch - this 5 exposure HDR was processed with HDR Effex Pro 2. While processing it, I identified an image to be the master to help reduce the ghosting of the flower movement. I finished the post processing with a few other filters in Color Effex 4 such as Foliage, Detail Extractor, and Glamour Glow. 8-21-12 In the Garden. This flower was found in the Community Demonstration Garden in Mount Vernon, Washington. I am still experimenting with the Oli Filter in Photoshop CS6 since I am really liking the results. 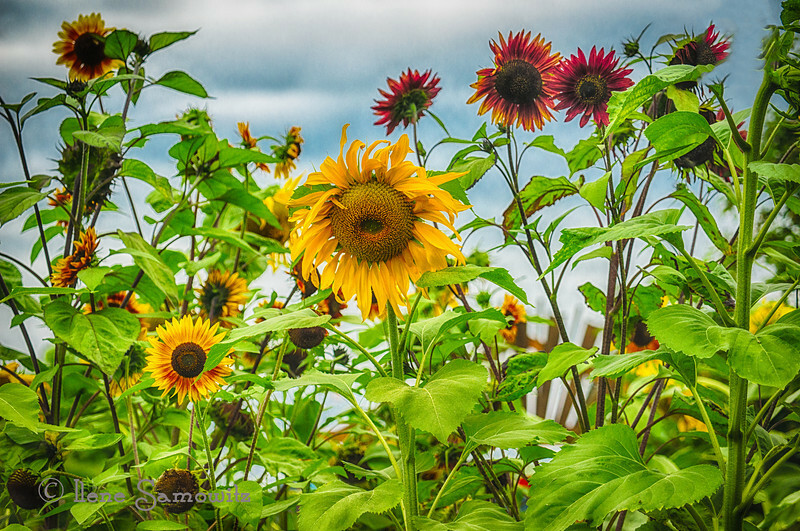 8-20-12 Reaching for the Sun - I took this image yesterday at a demonstration garden in Mount Vernon, Washington. 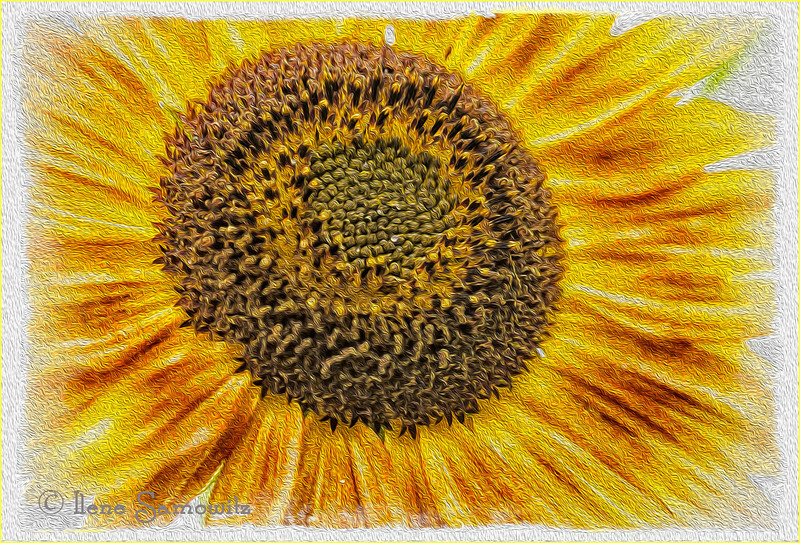 I used the Oil Paint Filter in Photoshop CS6 to give it the texture and then framed it using Photoframe. 8-19-12 Old International along Highway 26. I processed this as a 5 exposure HDR and bright out the colors and detail. I then processed this in Silver Effex 2 using a variation of the Antique Plate. I then blended the two layers using soft light in Photoshop. 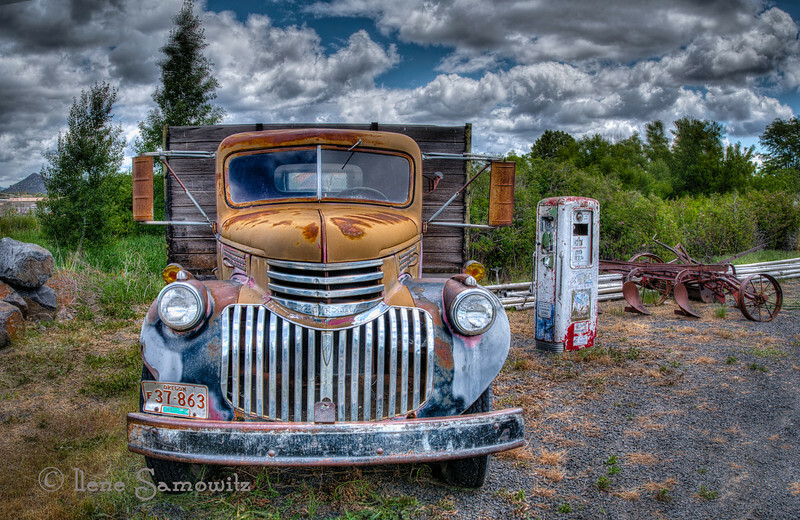 8-18-12 The Old Chevy of Prineville. I used the new wide angle adaptive filter in photoshop cs6 to do further corrections of the wide angle distortion. I liked the result of this 5 exposure HDR processed in Photomatix. 8-16-12 Details of an old Chevy Truck. 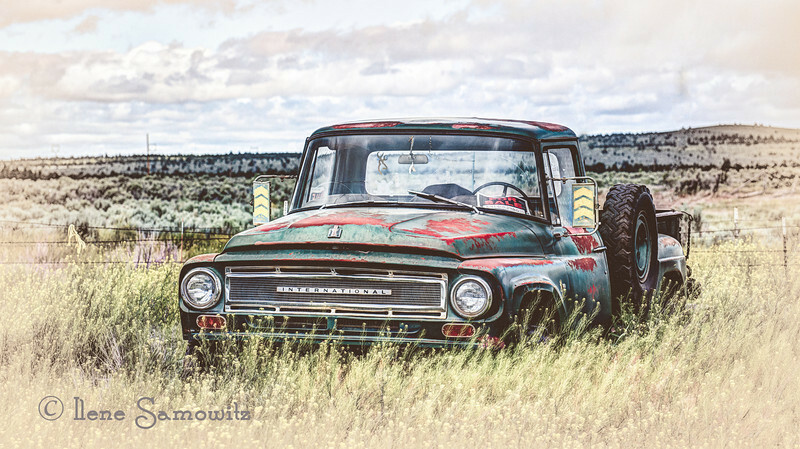 This was found just west of Prineville, Oregon weathering in the high desert heat. 8-16 Closeup in the Quileute Marina. 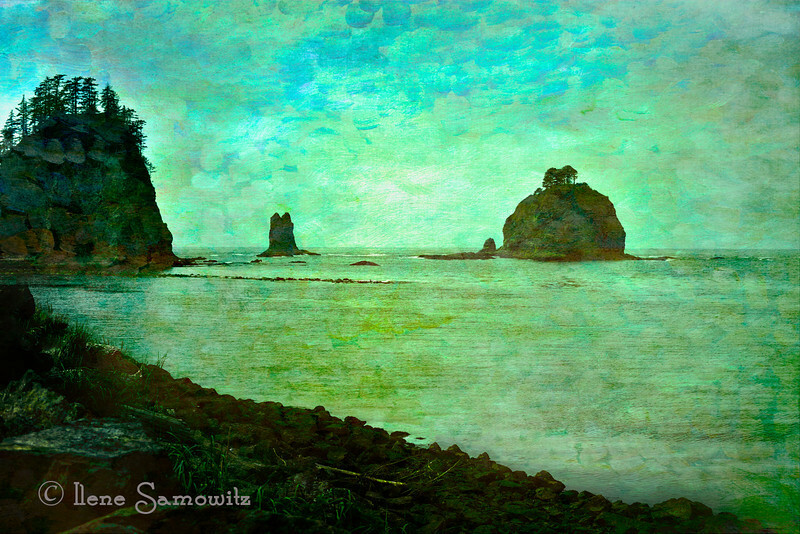 I just realized that not everyone might realize that the images I posted the last four days including this one, is from La Push, Washington. This town has been a favorite location for me for thirty years. It has now been put on the map due to The Twilight Sagas. It is about 11 miles west of Forks, WA (now Twilight headquarters) and is the home turf of Jacob and his pack of werewolves. Since so many people asked about Flypaper textures, they can be found at http://flypapertextures.com/flypaper-textures-taster-pack/ which is the link to their web sized sampler pack. You can easily navigate their site from this starting point. 8-15-12 Tied to the dock I have been having fun with these Flypaper textures. I applied two textures to this image and also decided on a light vignette to help take out some of the distant distracting elements and to add to the dreamy feeling. 8-14 La Push, Washington. I took this image on my birthday in somewhat overcast conditions. 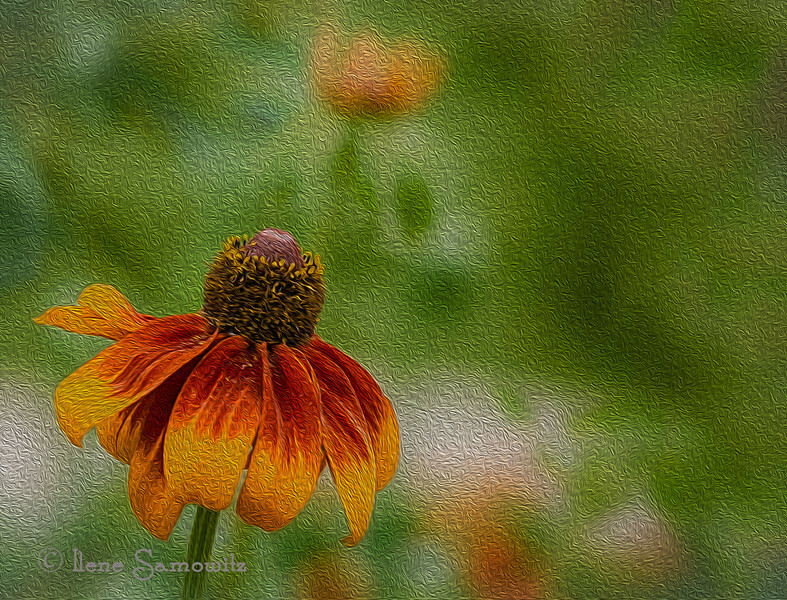 I applied and blended two different Flypaper textures to this image to add some depth and color. 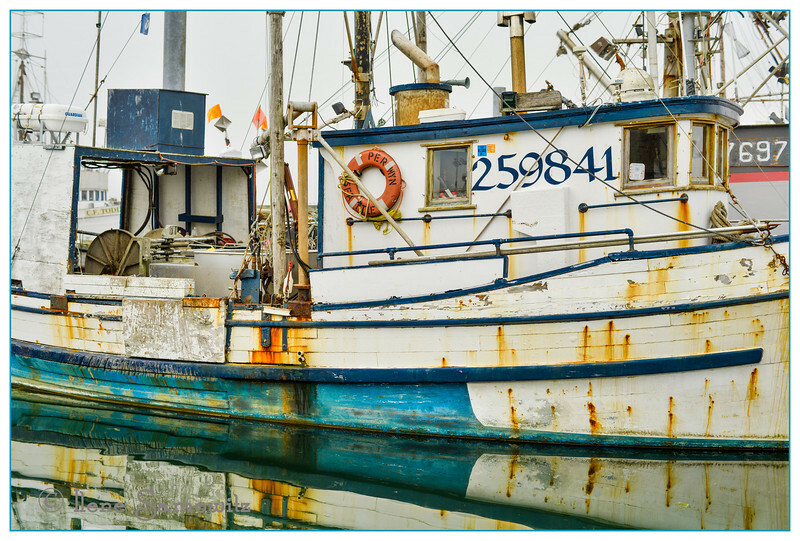 8-13 Morning Fog at the Quileute Marina, La Push, Washington. 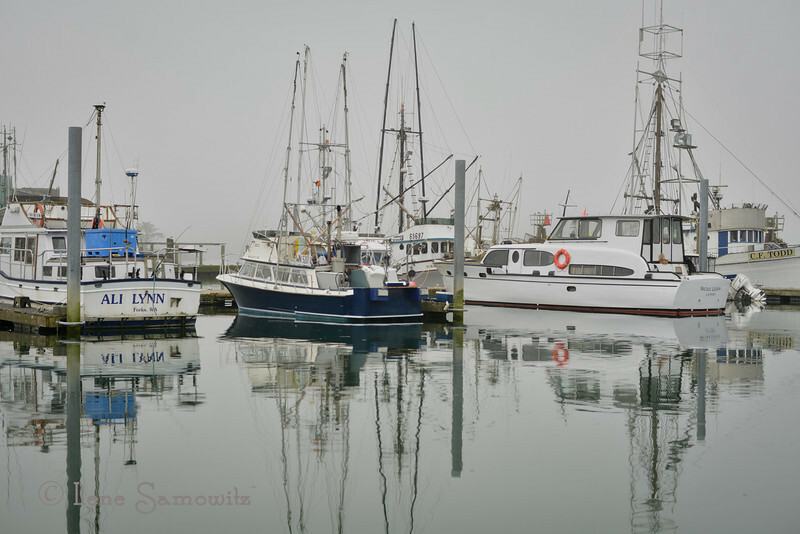 Photographing harbors and marinas in the fog are always so much fun. 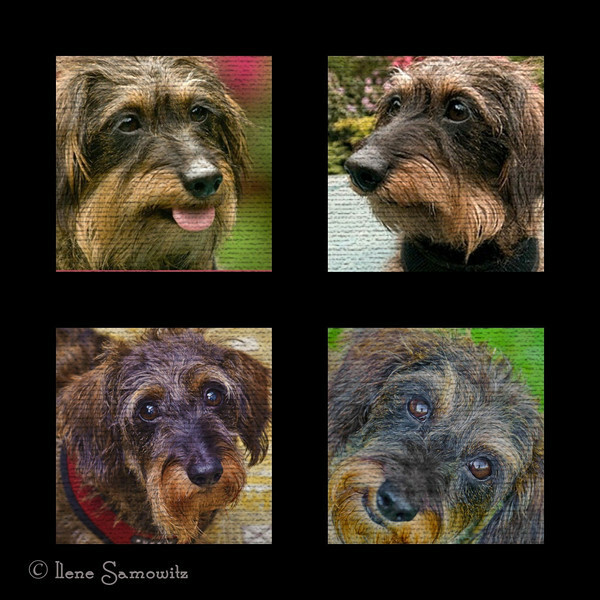 8-12 The Faces of Misty ...Misty is my wired haired mini dachshund. 8-11. Does anyone know the species of this insect? Found in Sequim,WA. 8-10 My birthday photo. 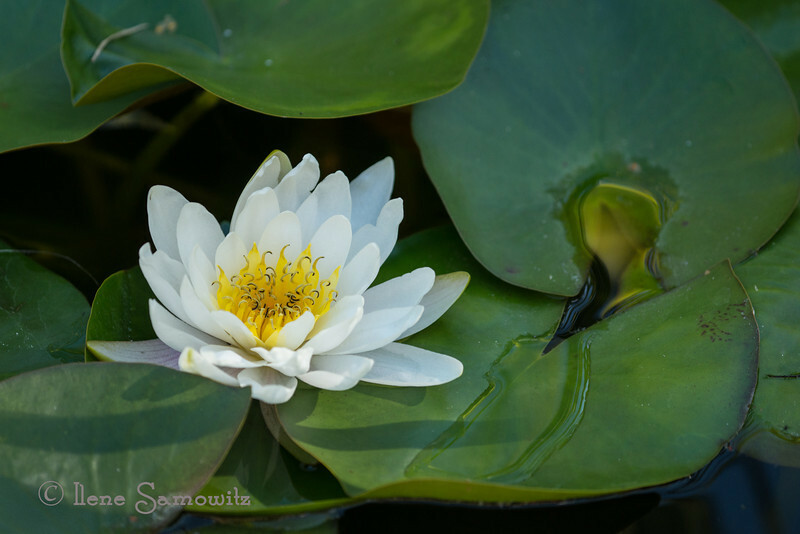 I had the good fortune to be able to photograph this water lily at one of my favorite Wild Bird Stores located in Discovery Bay on the Olympic Peninsula. I used the rented Nikon 200 f4 micro to take it. 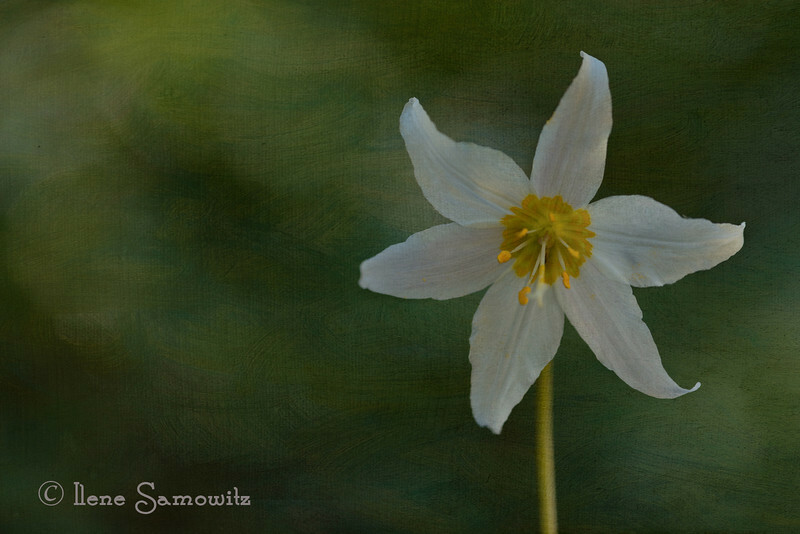 8-9 Avalanche Lily - I used the rented Nikon 200 F4 micro with my Nikon D800E to make this image. 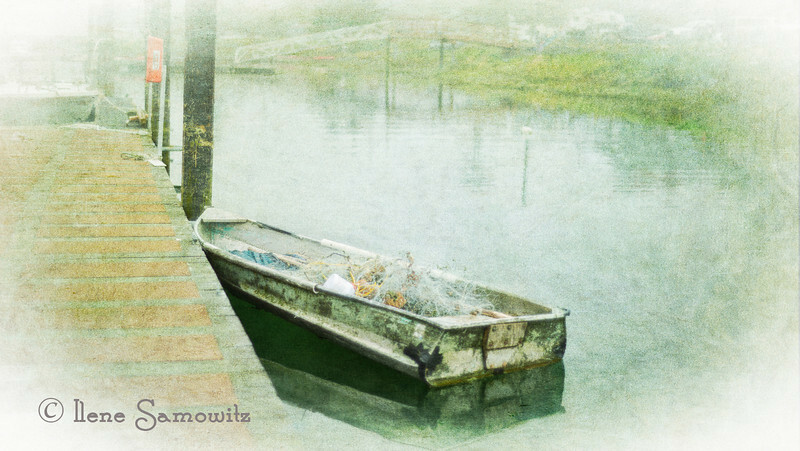 In PP I then textured it using a wonderful texture from Flypaper Textures Summer Painterly collection.